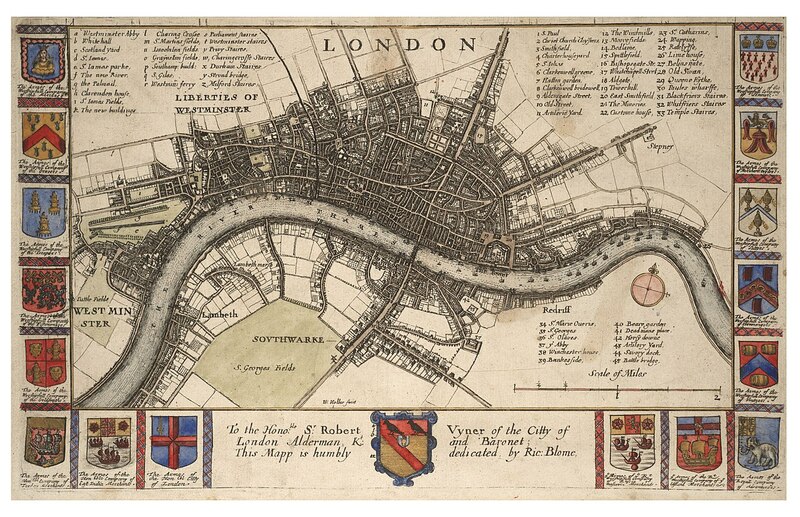 Eighteenth Century London was the hub of a continually expanding network of global contacts. 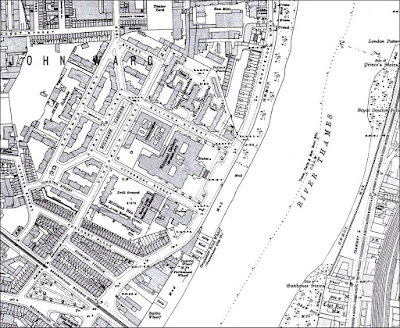 At its wharves and quays, ships arrived bearing lacquer-ware, porcelain, and tea from China; cotton fabrics from India; tobacco from North America; chocolate from Mexico; coffee and spices from Indonesia; and sugar from the Caribbean; smaller ships brought coal from the north-eastern ports of England, which was increasingly burned as a fuel in London, in preference to wood, the nation's forests having been depleted for the building of ships. 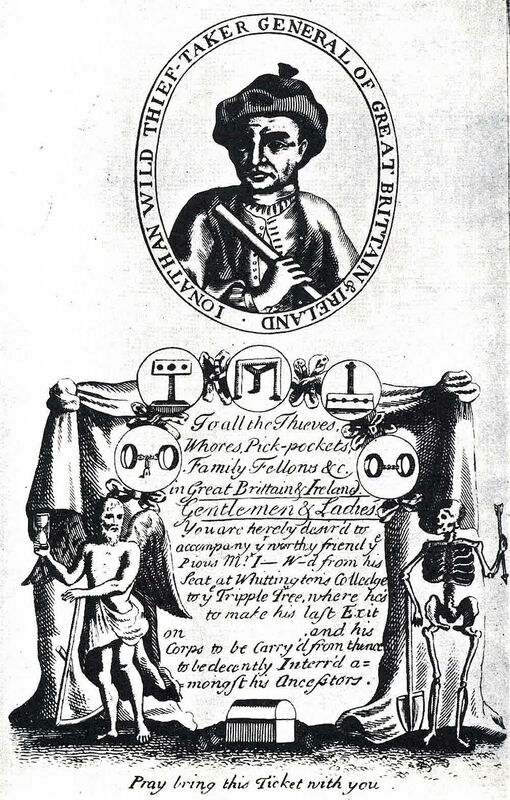 The new commercial system was underpinned by innovations in banking, insurance, and corporate governance; but it was also underpinned by something more tangible, yet less visible to most Londoners: the trade in human beings. 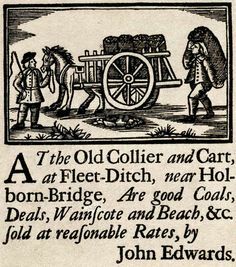 Coal merchant's advertisement (image is in the Public Domain). 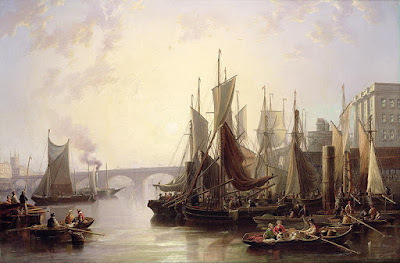 The Pool of London, by John Wilson Carmichael (image is in the Public Domain). 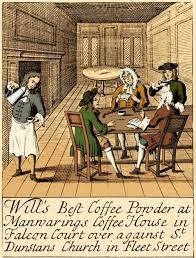 Advertisement for a coffee house in London (image is in the Public Domain). 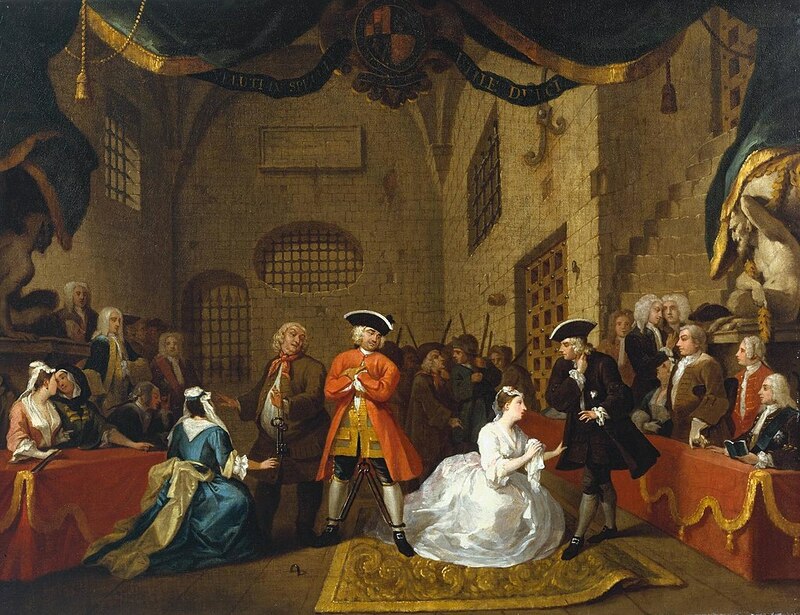 Almost every spoonful of sugar consumed in London, and every tot of rum carried on the ships for the benefit of their crew-members, had been produced on plantations in colonies such as Jamaica or Barbados, on the basis of slave-labour. 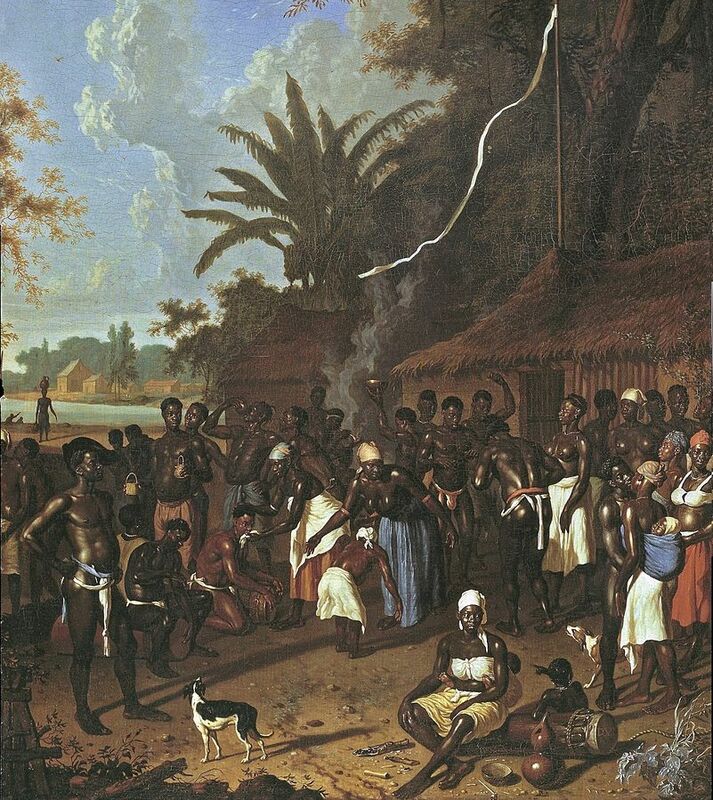 The slaves were Africans, who had been shipped to the Caribbean, often on British ships, with British captains; they were the property of British plantation owners; yet very few of them ever came to Britain itself. 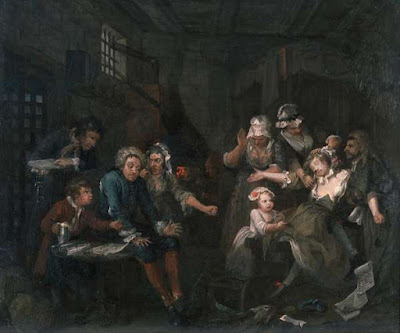 Although tens of thousands of ordinary Britons owned shares in companies that formed part of the supply chain, slavery itself was largely out of sight and out of mind. "Slave Dance," by Dirk Valkenburg, Dutch Brazil (image is in the Public Domain). 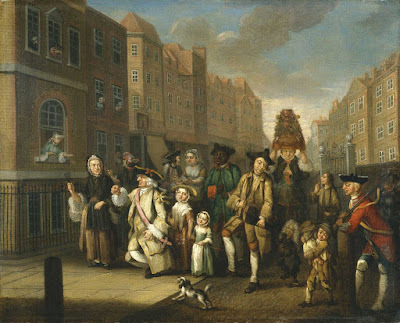 May Morning," by John Collet, 1770: Museum of London (image is in the Public Domain). A black servant joins the celebrations: under English law, he would not have been a slave. 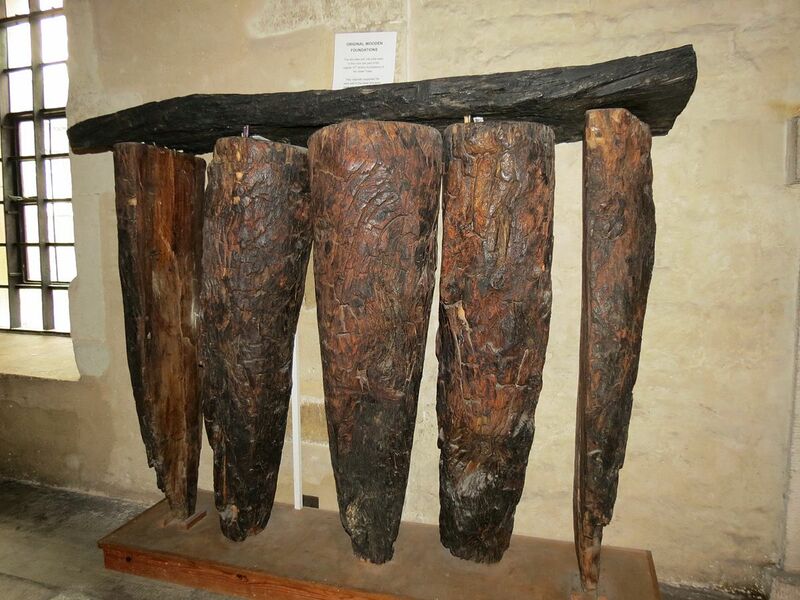 From the mid-Eighteenth Century, movements emerged in Europe, committed to the abolition of slavery. 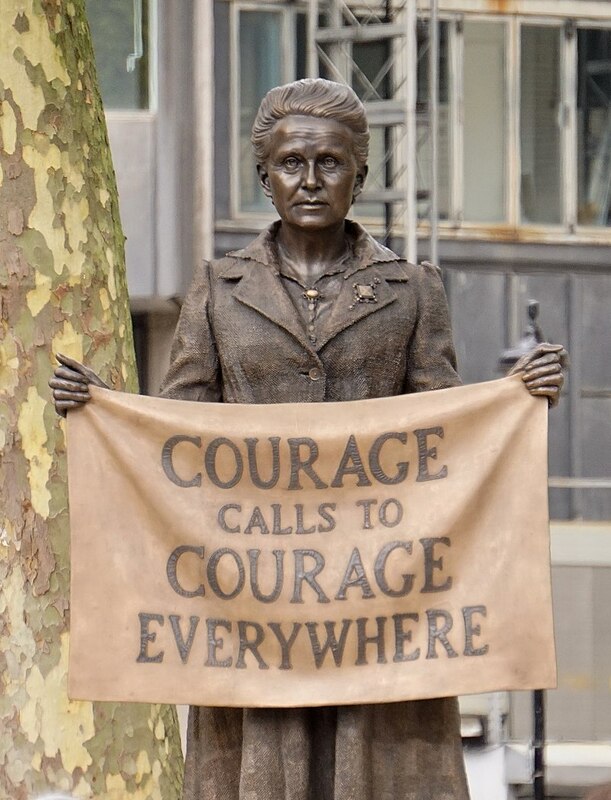 Within Britain, these campaigns were often led by Evangelical Christians, and by religious dissenters, including Quakers and, later, Methodists. In 1777, a key ruling at the Old Bailey determined that a fugitive slave who had arrived in England, was a free man, since English law included no provision for the institution of slavery, and that, in the words of Lord Justice Mansfield, "[slavery] is so odious that nothing can be suffered to support it, but positive law" (in other words, an Act of Parliament, which never actually came to pass). 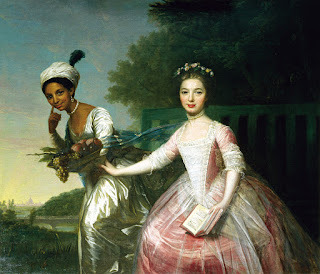 Portrait of Lord Mansfield's nieces, Dido Elizabeth Belle and Lady Elizabeth Lindsay, Scone Palace, Scotland, 1778 (image is in the Public Domain). Dido was the daughter of a slave mother and a planter father, and lived as a member of Lord Mansfield's household. Design for an Abolitionist medallion, by Josiah Wedgwood, 1795 (image is in the Public Domain). The first book published by an African author in English, 1782 (image is in the Public Domain). Direct testimony by individuals with first-hand experience of slavery played an important part in the Abolitionist movement. 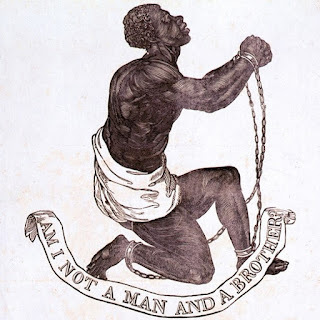 With so many vested interests, however, the process of abolition was a slow and painful one. Slavery was formally abolished by the newly created French Republic in 1794, but this was revoked by Napoleon Bonaparte in 1802. 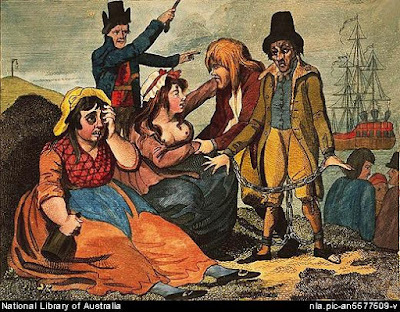 In England, William Wilberforce's act of 1807 outlawed the Transatlantic Slave Trade, but British plantation owners continued to make use of slave labour until 1833. 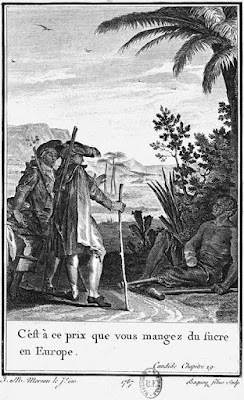 Illustration from Voltaire's "Candide" (widely read across Europe). His protagonist meets a maimed slave in Surinam: "it is at this price that you eat sugar in Europe," the caption reads. 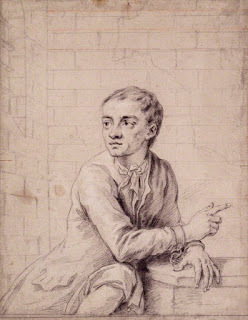 Image: Jean-Michel Moreau, 1787 ((image is in the Public Domain). Barry Unsworth's novel, The Quality of Mercy, is based around an imagined conflict (though closely based on historical circumstances), between a ship-owner, Erasmus Kemp, whose slave-ship has been taken over by its crew,and run aground in Florida; and the abolitionist, Frederick Ashton, who accuses Kemp of insurance fraud (in claiming for the value of slaves allegedly thrown overboard on the orders of the Captain), and seeks to demonstrate, in the courts, that, as human beings, the slaves had never been Ashton's lawful property. 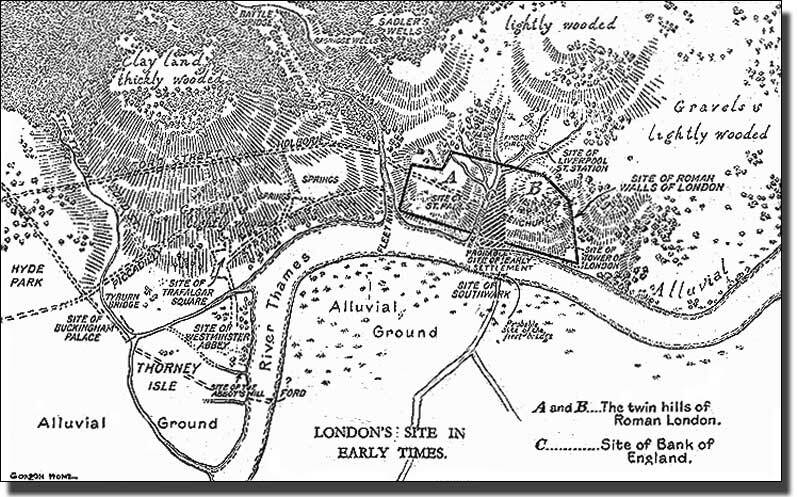 The situation is complicated by a love-interest between Kemp and Ashton's sister; and by the position of Sullivan, the ship's Irish fiddler, one of the few men who might actually know what happened on the ship, and who is, unbeknown to Kemp or Ashton, making his way on foot to a mining community in County Durham, with a message for the family of a murdered ship-mate. "On finding himself thus accidentally free, Sullivan's only thought was to get as far as he could from Newgate prison while it was still dark. Fiddle and bow slung over his shoulders, he set off northwards, keeping the river at his back. In Holborn he lost an hour, wandering in a maze of courts. Then an old washer-woman, waiting outside a door in the first light of day, set him right for Gray's Inn Lane and the northern outskirts of the city ... An hour's walking brought him to the rural edges of London, among the market gardens and brick kilns north of Gray's Inn Road ... At a junction of lanes here was a huddle of houses and a small inn. He was hungry but he did not dare to stop. One way led to Watford the other to St Albans. 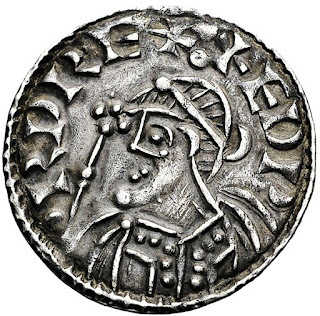 He took a shilling from his new purse and tossed it. It came down heads. St Albans then." "'I had hoped the business might be settled privately between us,' Van Dillen said. 'The outcome must be doubtful in law and if we go to the extent of a hearing there are costs to be thought of. Why should we fatten the lawyers, Mr Kemp?' He was not finding the interview easy. He was physically uncomfortable, for one thing; the seat of his chair was too small for a man of his bulk, and the weather was unseasonably hot. The room had only one window, and the morning sun, strong despite the clogging air of London, slanted through it and lay directly on him. He felt overheated in his bob-wig and broadcloth suit ... He felt an itch on the side of his neck, some insect crawling there ... the windless days and early heat had produced a plague of small black beetles that flew about blindly, getting tangled in wigs and snared in the corner of eyes, copulating and dying, leaving a scurf of corpses ... 'What can be predicted are the legal costs,' Van Dillen said. 'My good sir, the facts are not in dispute, at least as regards the central fact of the Negroes being cast overboard and the necessity thereof.' 'It is precisely the necessity of it that the insurers will dispute if it comes before a court." 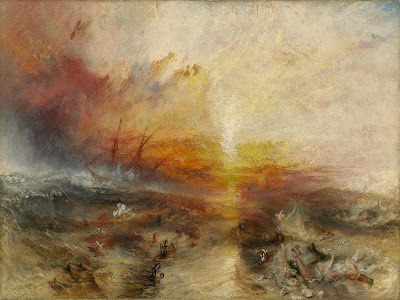 "Slavers throwing overboard the dead and dying," by J.M.W. Turner, 1840, Museum of Fine Art, Boston, 1840 (image is in the Public Domain). Slavery was already illegal in British territories at this time, but Turner was campaigning for its global abolition. "The insurance claim on eighty-five African slaves, cast overboard while still alive from the deck of the 'Liverpool Merchant' on grounds of lawful jettison, was heard at the Guildhall, Justice Blundell presiding. 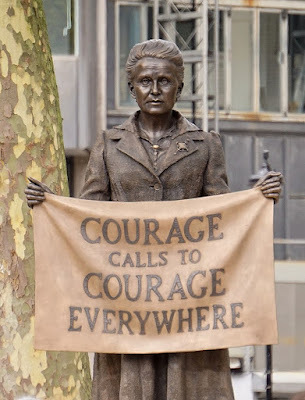 In contrast to the long course of postponements and delays that preceded it, the hearing itself was brief, occupying no more than three hours of the court's time. The insurers were represented by an elderly lawyer named Price, who had a large experience of such cases. Kemp's lawyer, Pike, had wished to hold his fire for the criminal trial at the Old Bailey, which was due to be held at a date not yet specified; he had recommended a young barrister named Waters to represent the ship's owner." A visitor to London, having explored the Borough of Lambeth, and arrived back at Vauxhall Bridge, can cross the bridge into the western end of the City of Westminster. 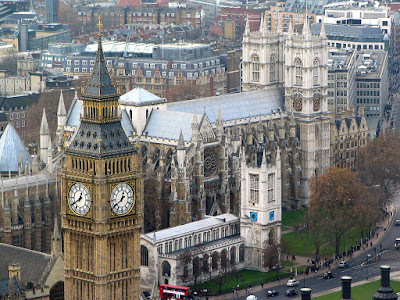 The street that now bears the name of Millbank (after a Medieval tidal mill, owned by the Benedictine monks of Saint Peter's, otherwise known as Westminster Abbey) follows the northern (or "Middlesex") bank of the River Thames, between Chelsea and the Houses of Parliament. The modern view, as one walks across the bridge, is dominated by the Neoclassical facade of the Tate Britain art gallery. 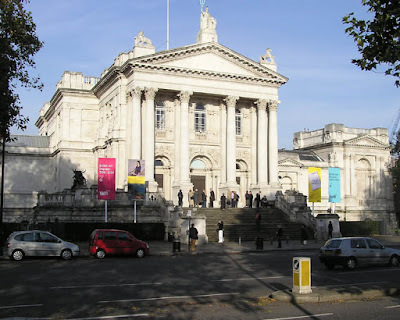 Tate Britain. Photo: Adrian Pingstone (image is in the Public Domain). Those who have been following these perambulations from the outset may have realised, by now, that we are traveling around Greater London somewhat in the manner of Henri Matisse's "Snail" (a work, incidentally, that I first saw, as a teenager, in this gallery, but which now hangs in the Tate Modern), having visited the City of London, crossed the river into Southwark and Lambeth, and now crossing it once again to visit Westminster. 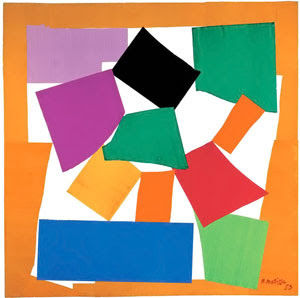 "Snail," by Henri Matisse, 1953, Tate Modern (reproduced under Fair Usage Protocols). We have already encountered the sugar magnate, Henry Tate, at his one-time home in Streatham, and it was he who gave his name to the art gallery, having paid for its construction. 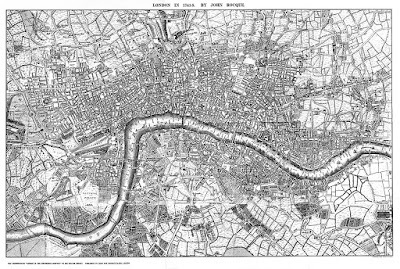 The gallery opened to the public in 1897, an is now linked by a shuttle-boat service to its sister-gallery at Bankside, a great way to see the waterfronts of the Thames in the boroughs that we have been exploring. In Atterbury Street, on the side of the gallery, can be seen the scars of German bombing raids in 1940 and 1941. 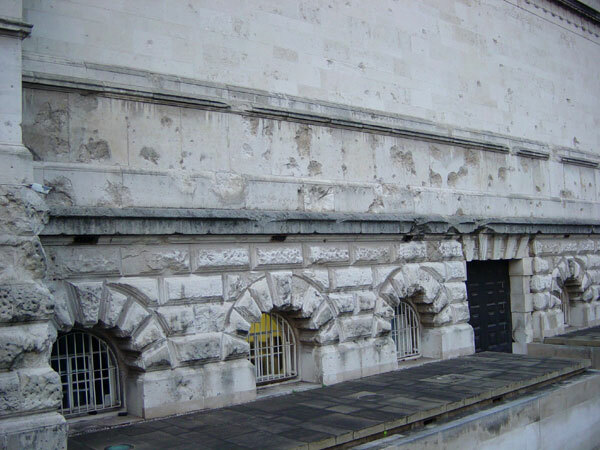 Bomb damage on the wall of Tate Britain. Photo: www.stuckism.com (licensed under GNU). 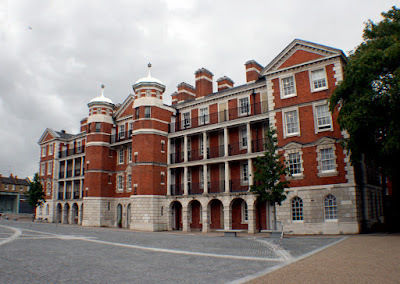 Both the gallery, and the adjacent Chelsea College of Art and Design (previously the headquarters of the Royal Army Medical Corps) were built on the site of a earlier prison. In fact, there had been a prison camp in the marshes here since the time of the Battle of Worcester (1651), with defeated Royalists being held here by Parliamentary forces prior to being sent for hard labour in Britain's overseas colonies. By the time that Samuel Pepys was writing his famous diary, this had been abandoned, and he records "Tothill Fields" as "a low, marshy locality," suitable for shooting snipe (not a bird that one commonly sees in the area today). Chelsea College of Art and Design, built in 1907 as the headquarters of the Royal Army Medical Corps. Photo: Entangle (licensed under CCA). 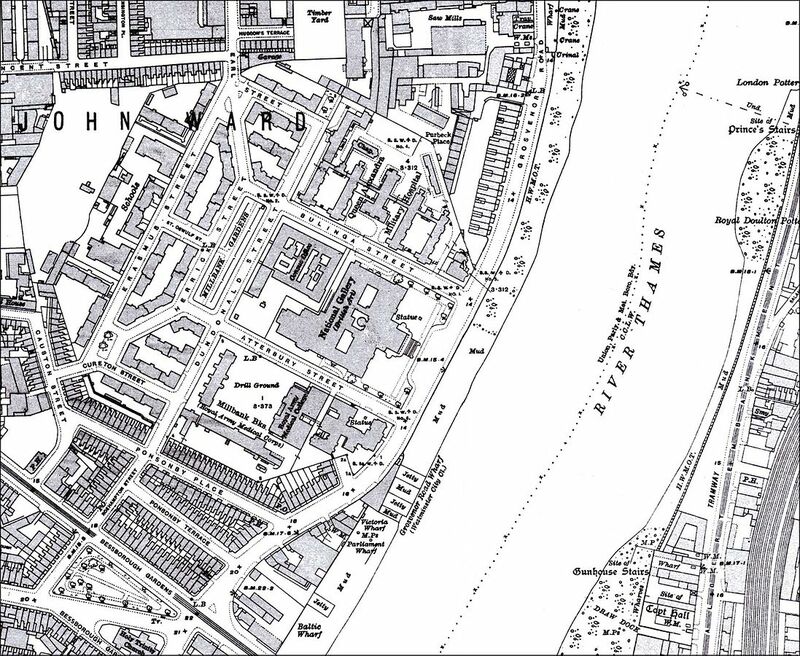 Ordnance Survey Map of 1912 (image is in the Public Domain). 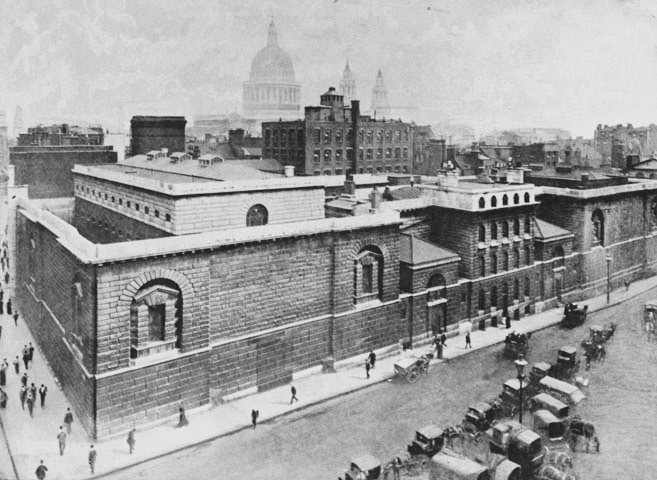 The more famous Millbank Prison, which functioned from 1816 to 1890, and which was demolished prior to the construction of the gallery and college, was closely associated with the transportation of convicts to Australia, since it was here that most of the prisoners were held before being loaded into barges and taken downstream to the ships that would carry them away. 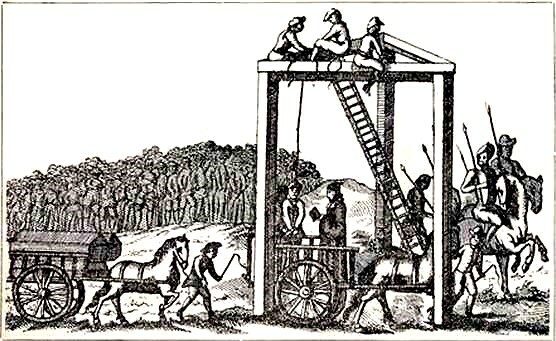 Although much of the literature (both fictional and non-fictional) inspired by these journeys have emphasised the hardships endured by the convicts (which were certainly real enough), it was intended, at least in part, as a more humane alternative to the gallows. "Black-eyed Sue and Sweet Poll of Plymouth taking their leave of their lovers, who are going to Botany Bay," by Robert Sayer, 1792. National Library of Australia (image is in the Public Domain). 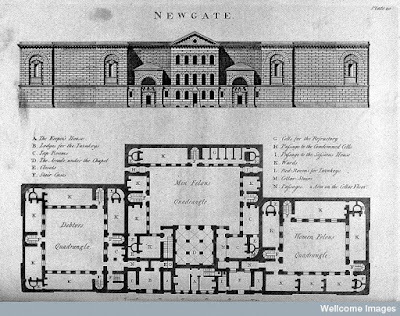 The prison itself was originally conceived by the philosopher, Jeremy Bentham (1747-1832), as part of a utopian scheme for the management, and ultimate reform, of offenders, but his panopticon design (intended to ensure surveillance of prisoners at all times, at minimum expense) proved to be impractical, and was never actually built. 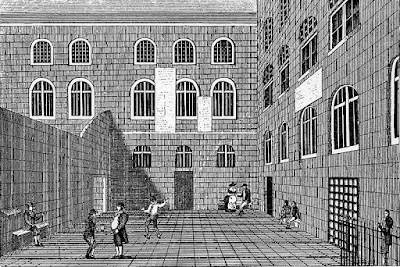 Instead, the prison became a byword for squalor and contagion, and few voices were raised to lament its demolition. 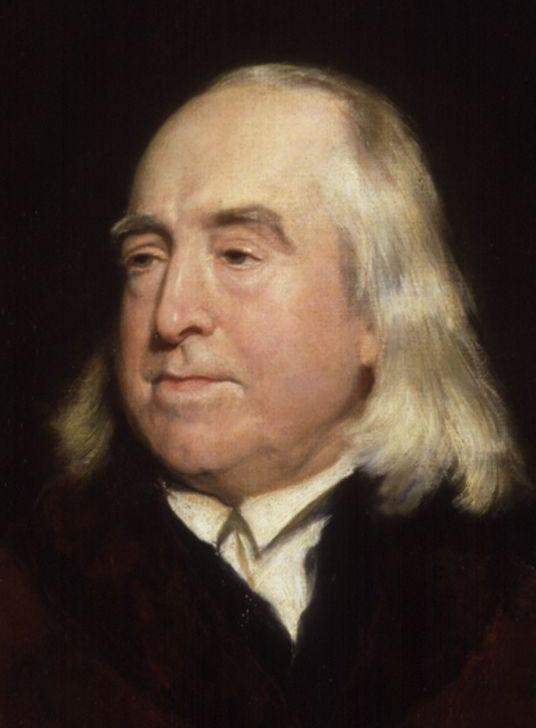 Jeremy Bentham, by Henry William Pickersgill (image is in the Public Domain). 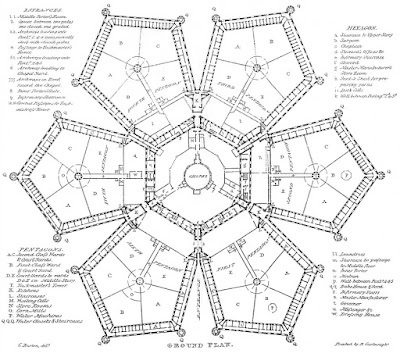 Bentham's "Panopticon" design, 1791 (image is in the Public Domain). 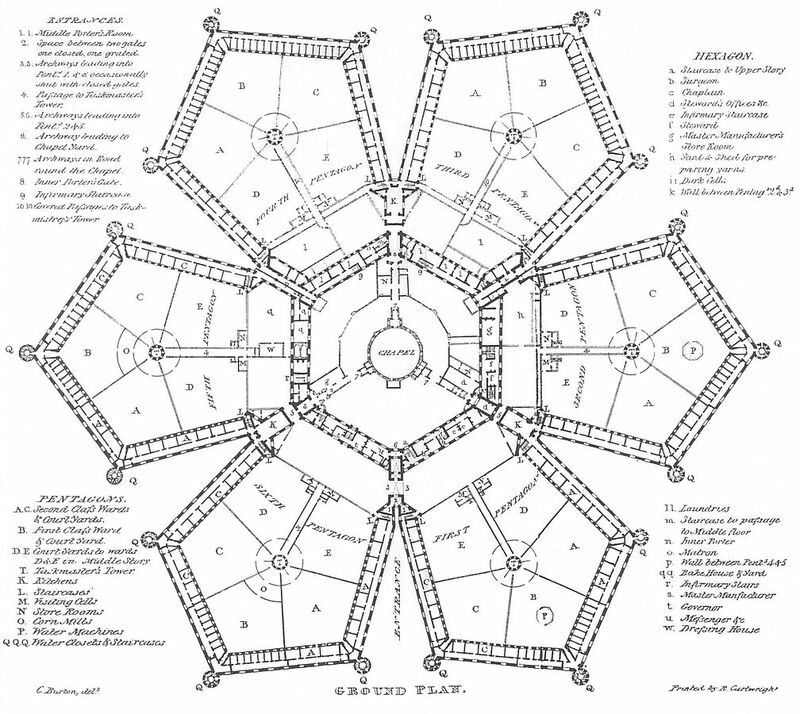 Plan of Millbank Prison, as actually built, G.P. Holford, 1828 (image is in the Public Domain). Millbank Prison, 1829, by Thomas Hosmer Shepherd (image is in the Public Domain). 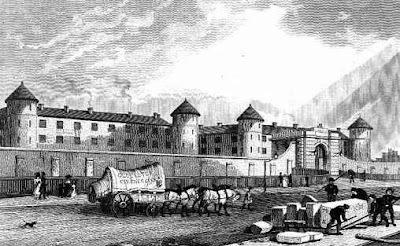 The burial ground at Millbank Prison, 1862 (image is in the Public Domain). 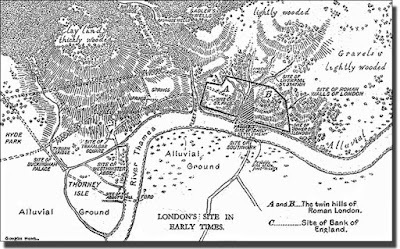 Today, the path that follows the north bank of the Thames, as we walk towards Parliament Square, is pleasantly shaded by plane trees on the river-side; with the offices of government departments and political parties on the other side of the road; and little evidence remaining of those who passed this way en route for the most uncertain of futures. Millbank Tower from Vauxhall. Photo: Iridescenti (licensed under GNU). The Story of London in 50 Novels: 10 - "A Journal of the Plague Year," by Daniel Defoe. 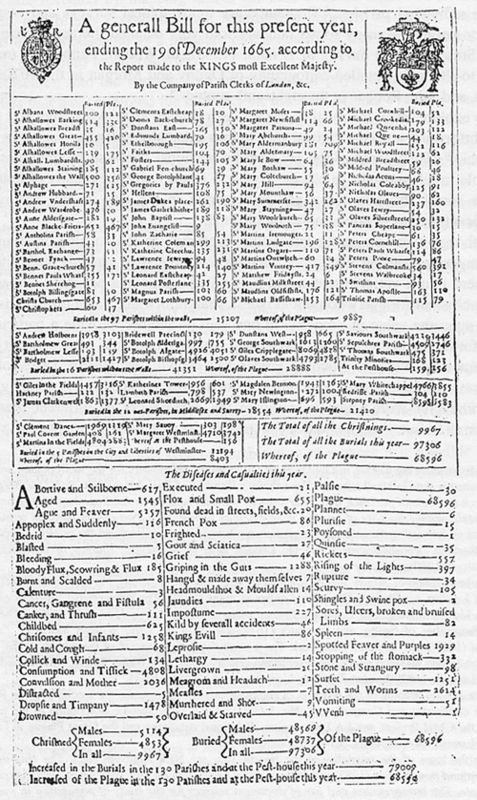 In 1663, news first reached London of a plague that had been devastating the city of Amsterdam. 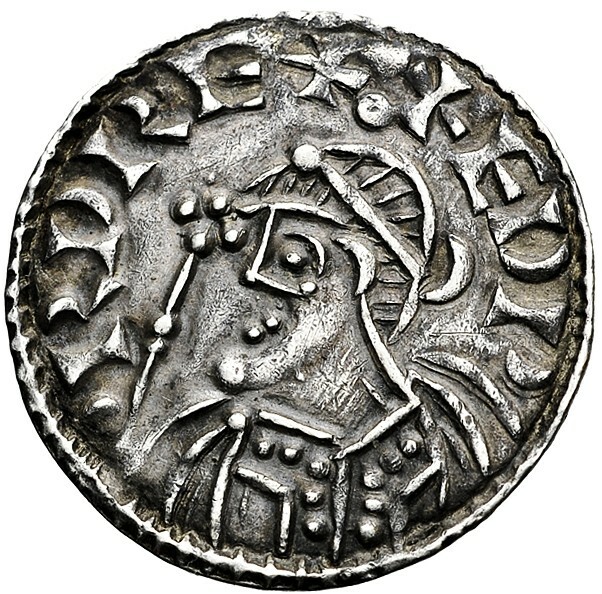 The extensive trade links between England (especially London) and the Netherlands (most significantly Amsterdam) made it more or less inevitable that the sickness would, in time, make its way to these shores. 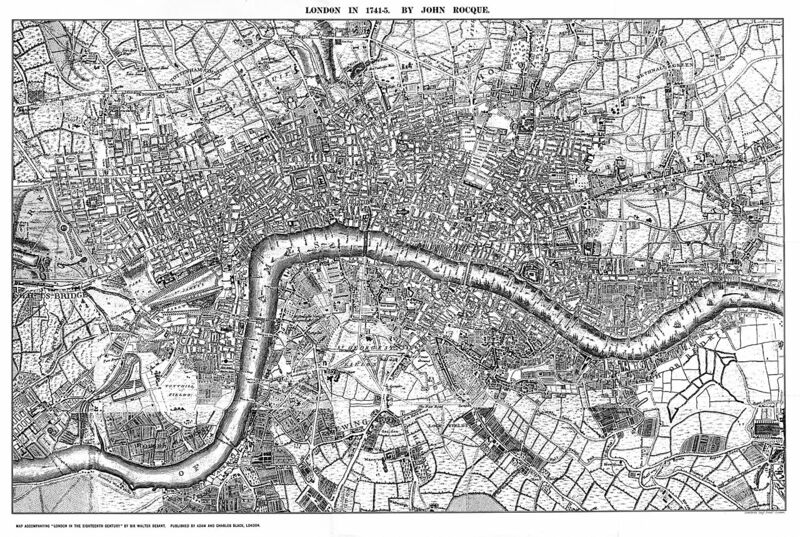 The plague (both bubonic and pneumonic) was no stranger to Londoners: there had been periodic outbreaks over a period of more than three centuries, the most serious, by far, being the "Black Death" of 1347-8, which wiped out somewhere between a third and a half of the population of England, and set the ground for fundamental social and economic change. The Great Plague of London, 1665 (image is in the Public Domain). 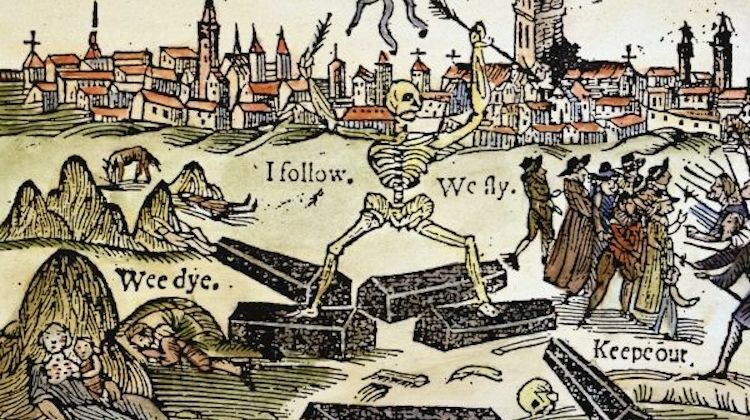 The most recent strain of the plague reached London in the autumn and winter of 1664-5, and raged through the summer of the latter year. 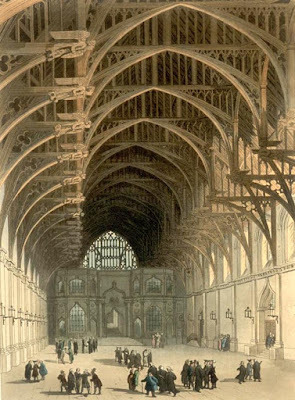 Many of the City's wealthier citizens fled into the countryside; as did King Charles II and his court, settling first in Salisbury, and later in Oxford. 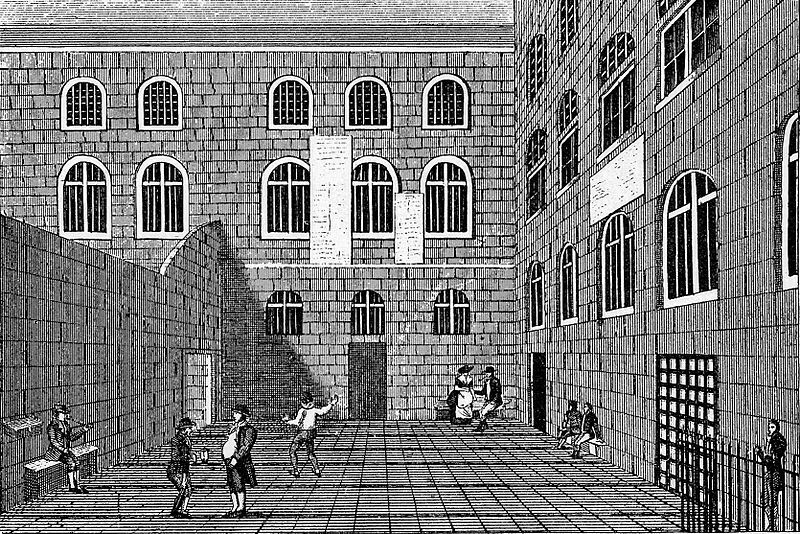 There was only a limited window of time in which such escape was possible: as soon as the news of the plague spread to the rural districts, the people of the countryside became unwilling to accommodate their urban neighbours, or even allow them to pass. 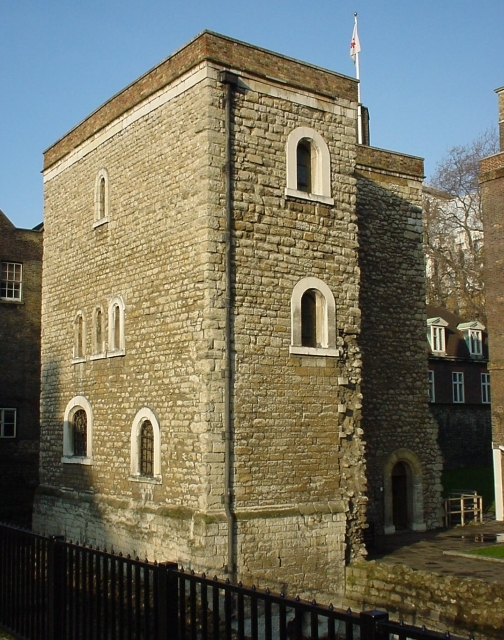 The Lord Mayor of London, Sir John Lawrence, and most of the Aldermen, had, in any case, opted to remain, and to oversee the City's defences against the unseen killer. 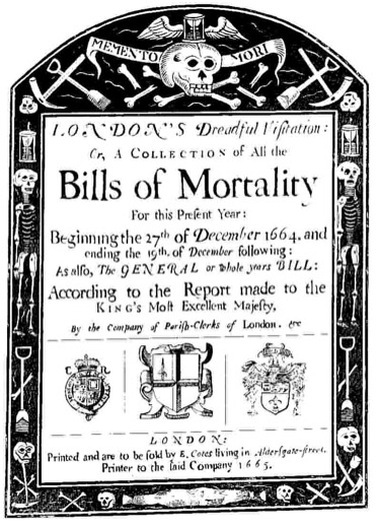 Between the, they saw to it that the dead were buried; that regular "Bills of Mortality" were published; and that those known to be suffering from the disease were quarantined in their homes to prevent the spread of contagion. Bill of Mortality (image is in the Public Domain). 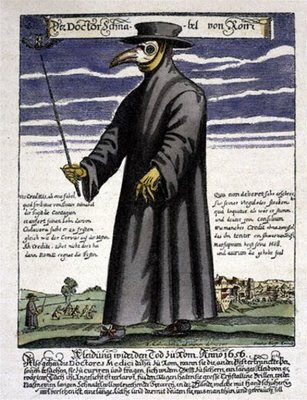 A Plague Doctor (image is in the Public Domain): the "beak" held aromatic plants, believed to stave off contagion. 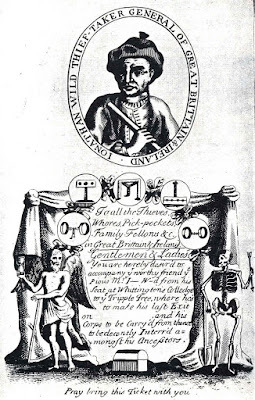 Seventeenth Century doctors could, in fact, do nothing to help patients suffering from the plague, although they could, and did, record the progress of the disease in such a way as to improve the understanding of the process of infection. Ultimately, the disease would kill around 100,000 people (roughly a quarter of London's population), and it would disappear almost as suddenly as it had fallen upon the City. 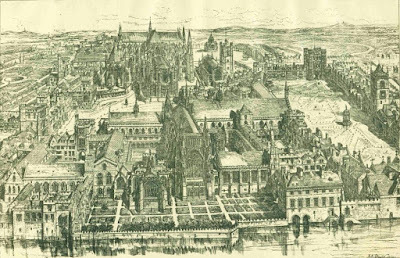 The role of the following year's Great Fire of London in destroying what remained of the disease has probably been over-stated: it seems, rather, that he disease had simply completed its life-cycle. The over-land trade routes that connected the Mediterranean world with the Far East, and along which the plague seems originally to have spread into Europe, were, by this time, in decline, replaced by the maritime routes around the southern tip of Africa and across the Indian Ocean, that were being opened up by Portuguese and Dutch navigators. Daniel Defoe's book, A Journal of the Plague Year, published in 1722, has often been seen as a work of non-fiction reportage. It is written in the first person, and appears to be a detailed eyewitness account, but can hardly be so, since Defoe had been just five years old in 1665. 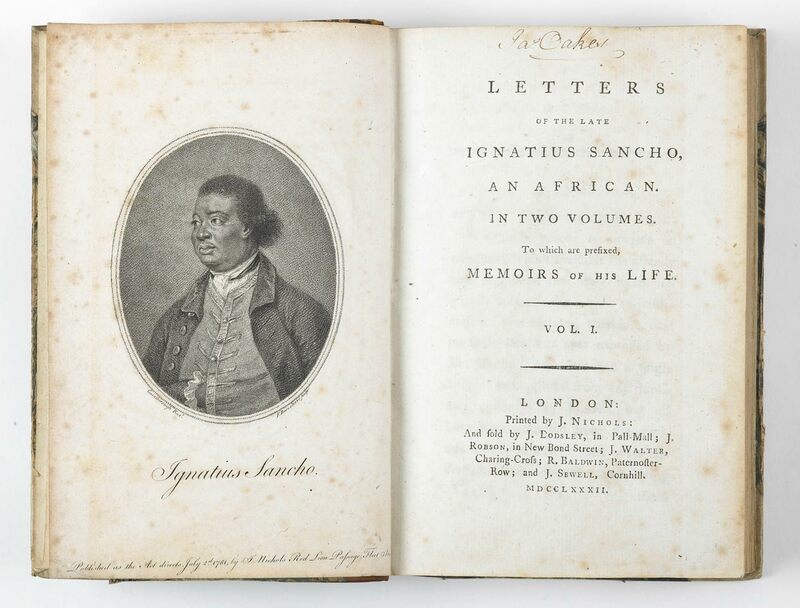 The account is credited to "H.F." (possibly Defoe's Uncle, Henry Foe, on whose reminiscences the author may have relied). 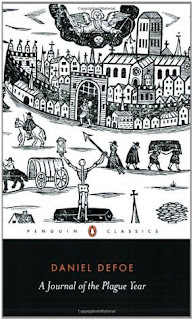 Although Defoe has sometimes been cited as the first English novelist (John Bunyan and Aphra Behn arguably have stronger claims), those making this suggestion have generally had in mind Robinson Crusoe (1719) and Moll Flanders (1722). 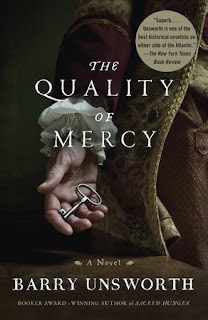 Recently however, A Journal of the Plague Year has itself been reconsidered as a novel (and, indeed, a historical novel, since it was written fifty-seven years after the events that it describes took place. 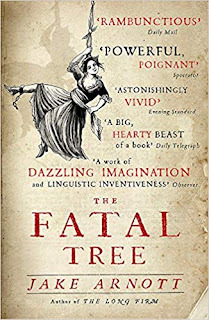 Writers of Defoe's generation had yet to agree on a clear definition of what a novel actually was, but this account, though clearly rooted in detailed empirical research, has a number of the features that we might recognise as typical of the novel, including characters (though not many of them), and dialogue (though not very much of it). 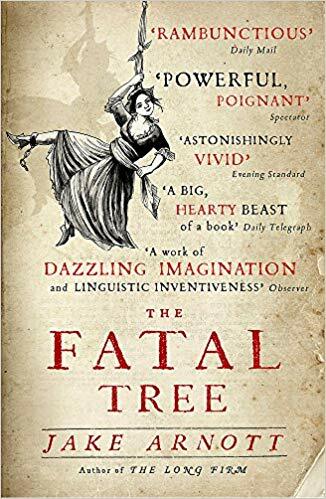 As such, it gives a fascinating insight, not only into London life during the Great Plague, but also into the embryology of the historical novel in English. 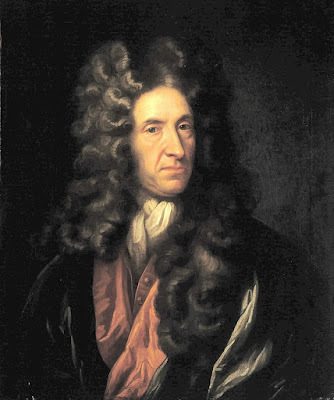 Daniel Defoe, possibly after Sir Godfrey Kneller, National Maritime Museum (image is in the Public Domain). 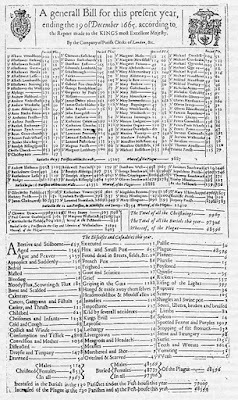 "It was about the beginning of September, 1664, that I, among the rest of my neighbours, heard in ordinary discourse that the plague was returned again in Holland; for it had been very violent there, and particularly at Amsterdam and Rotterdam, in the year 1663, whither, they say, it was brought, some said from Italy, others from the Levant, among some goods that were brought home from their Turkey fleet; others said that it was brought from Candia; others from Cyprus. It mattered not from whence it came; but all agreed it was come into Holland again." London in 1665, by Wenceslas Hollar (image is in the Public Domain).
" 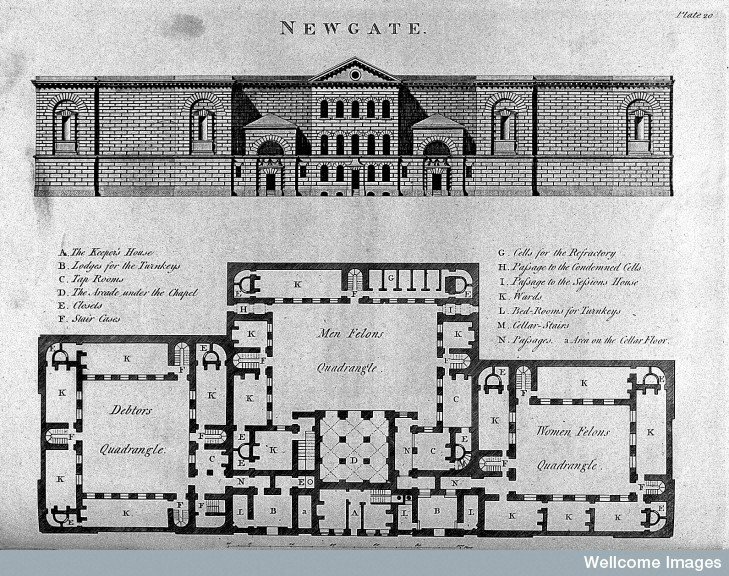 ... now the weather set in hot, an from the first week in June the infection spread in a dreadful manner, and the bills rose high; the articles of the fever, spotted fever, and teeth began to swell; for all that could conceal their distempers did it, to prevent their neighbours shunning and refusing to converse with them, and also to prevent authority shutting up their houses; which, though it was not yet practised, yet was threatened, and people were extremely terrified at he thoughts of it ... 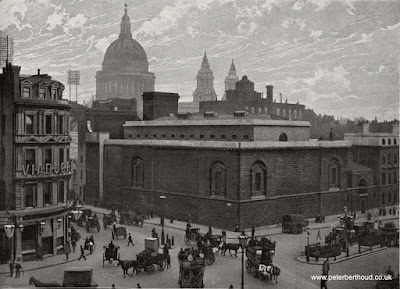 I lived without Aldgate, about midway between Aldgate Church and Whitechapel Bars on the left hand or north side of the street; and as the distemper had not reached to that side of the city, our neighbourhood continued very easy. But at the other end of the town their consternation was very great: and the richer sort of people ... thronged out of town with their families and servants ... this was a very terrible and melancholy thing to see, and ... it filed me with very serious thoughts of the misery that was coming upon the city, and the unhappy condition of those that would be left in it." "I say they had dug several pits in another ground, when the distemper began to spread in our parish, and especially when the dead-carts began to go about, which was not, in our parish, till he beginning of August. Into these pits they had put perhaps fifty or sixty bodies each; then they made larger holes wherein they buried all that the cart brought in a week, which, by the middle to end of August, came to from 200 to 400 a week; and they could not well dig them larger, because of the order of the magistrates confining them to leave no bodies within six feet of the surface; and the water coming on at about seventeen or eighteen feet ... "